Walter Jesse Jackson was born in Gloucester on 16th March 1870, the son of a slaughterman, who later became a butcher; his mother was a dressmaker. He lived in St Aldgate’s, Gloucester as a boy. His mother died when he was 12, and he was brought up by his elder sister, and found work as a boiler maker. He was a talented centre, who also played on the wing. Bill Bailey (WB), the doyen of Gloucester rugby reporting declared that Jackson “has a style of his own” – it proved to be very successful. Walter first turned out for the Gloucester Second XV in 1888-89, and played a few more games for them in 1889-90, but was soon promoted to the First XV, making his debut on 26th December 1889 against Penygraig. On 18th January 1890, he scored his first two tries for the Club at Moseley. He earned regular selection, making 14 appearances, scoring four tries, and kicking one penalty by the end of the season. He appeared on that season’s honours board, and WB reported at the end of the season that “he has proved himself well worthy of his place”. Walter played for the City XV, composed entirely of Gloucester players, against the County XV in the Gloucestershire trial at the Spa on 11th December 1890, and scored two tries in a 16-0 victory (four goals and four tries, with a try scoring one point and a conversion two). He won his first Gloucestershire cap in their opening match of the season against Midland Counties at the Spa on 15th January 1891. He scored the first try – “after a brilliant bout of passing Jackson cleverly scored a try near the corner, which Hughes successfully converted into a major point”. Gloucestershire went on to win 5-0 (three tries, one converted). On 29th January 1891, he won his second cap in a scoreless draw against Somerset at Bristol, and his third in the return fixture at Bath on 5th February, when he scored again as Gloucestershire won 3-0 (three tries). This put Gloucestershire through to the County Championship semi-final against Lancashire at Manchester on 14th March 1891, when 13 Gloucester players, including Walter, were in the side which went down 0-14. On 5th November 1890, Walter travelled to Blackheath with his Gloucester colleagues, Tommy Bagwell and Arthur Hughes, to play for Western Counties against London & Midlands in an England trial, but they lost 1-9, and there was no England cap for Walter. However, in the summer of 1891 he was selected to join the British Isles tour to South Africa, the first tour to that country only two years after the formation of the South African Rugby Board; it was underwritten financially by Cecil Rhodes. This tour was later reclassified as a British Lions tour. They played 20 matches in red and white hooped shirts (not yet Gloucester’s colours), including three test matches, won them all, and scored 89 tries, whilst conceding only one. Walter, a slightly built centre, was selected as a forward, missed the first four games of the tour, and made his first appearance against Griqualand West at Kimberley on 20th July. He then played in four of the next six games, but was left out for the test matches, and his final appearance on the tour was against King William’s Town and District on 6th August, despite their being another eleven matches remaining. In 1891-92, Walter made 29 appearances for Gloucester, was the top try scorer with 17 (the next best scored 10), and was the most successful kicker with 28 goals from 54 attempts, three penalties and two dropped goals. He amused the crowd during one match when “the game was shortly afterwards stopped for some minutes near the 25 whilst Jackson struggled into a new jersey, the crowd getting much amusement from his contortions”, although the woollen jerseys of those days could be very tricky, especially on a wet day. He played in the first match on the new ground at Kingsholm on 10th October 1891, an 18-0 victory, and kicked 2 conversions. During the 1891-92 season, Walter won three further caps for Gloucestershire, first taking part in the 4-5 loss to Somerset at Bath on 2nd December 1891, which was played as an exhibition game, 20 minutes each way, because of the appalling state of the ground. A week later he played in the 0-9 loss to Midland Counties at Coventry, and on 17th December 1891 in the first county match staged at Kingsholm, when Devon were beaten 9-0. Walter was one of six Gloucester representatives in the Western Counties side in the first England trial held at Kingsholm on 29th October, but they lost 0-4 to Midland Counties. Nevertheless, Walter earned selection for the second trial for Western and Midland Counties against London, but was played out of position on the wing, saw nothing of the ball, and was not selected for the final trial. In 1892-93, Walter made 27 appearances, scored ten tries, and kicked 18 conversions, two penalties, and two dropped goals. On 1st October 1892, Gloucester won away at Old Edwardians by one goal and one dropped goal (9 points) to one try (3 points), with Walter scoring all of Gloucester’s points with a try, conversion and dropped goal – an unusual feat in those days. WB thought that in 1892-93, Walter was “not as brilliant, but has many times displayed very good form, and has done an immense amount of work”. His last game as a regular Gloucester player was in the final game of the season on 15 April 1893 against Stroud. 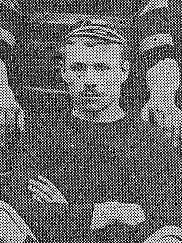 For the County in 1892-93, Walter played for the Probables against the Possibles in the early-season trial at Kingsholm, kicked a conversion in the 22-4 win, and went on to win two more caps. In the scoreless draw against Somerset at Kingsholm on 29th October 1892, Walter performed mainly defensive duties, but he dropped a goal in the match between Gloucestershire and Cornwall at Bristol on 23rd November, the first between these counties, which resulted in victory for Gloucestershire, 18-0. Walter was not available to play for Gloucester in the early part of the 1893-94 season, applied to transfer to Halifax, and his request was granted by the Gloucester committee. Although WB reported that “the loss of Jackson was a severe blow for the Club”, the parting was very amicable, to the extent that the Club made Walter a life member, and he agreed to return to Gloucester to play in the Xmas 1893 fixtures against Newport and Cardiff, although in the event he did not. He made a final appearance for Gloucestershire against Somerset at Bath on 28th October 1893, by which time he was playing for Halifax. He kicked a conversion as Gloucestershire went down 5-6. He finished his County career with ten caps, two tries, one conversion, and one dropped goal. On 3rd March 1894, Walter took part in an England trial for the Rest of England against Yorkshire, and was reported to have “played a remarkably fine game”. It was enough for the selectors, who met after the game, to select Walter for his first England cap at centre against Scotland two weeks later. On the intervening Saturday, he stood down from the Halifax team against Hunslet in order to avoid the risk of injury. Selected alongside Walter on the wing was R E Lockwood of Yorkshire, but he declined the invitation because of business commitments, and the selectors turned to C A Hooper, now of Middlesex Wanderers, but still an occasional Gloucester player, to play at centre, with Walter moving out onto the wing. By then Gloucester were in trouble with the English Rugby Union, and later that month the Club was found guilty of playing Shewell of Stroud in their team illegally by contravening the laws on transfers and professionalism. Gloucester were suspended from playing rugby 5-24 March. This provoked a question as to whether Jackson and Hooper, with recent associations with Gloucester, should be allowed to play for England. Gloucester sought clarification, and Jimmy Boughton received the following ruling from Rowland Hill, Secretary of the English Rugby Union: “We have decided to play both Jackson and Hooper. Thank you very much for all your trouble in the matter.” Both did play in Glasgow on 17th March 1894, but neither distinguished himself as Scotland won 6-0, England’s first loss in five visits to Scotland, and neither played for England again (indeed nine of that side were never selected again). However, with this cap, Jackson did become the first Gloucester-born player to win international honours. Walter returned to Gloucester the following month, and made his final appearance for the Club against Castleford on 28th April 1894, the last game of the season. He finished his Gloucester career with 97 appearances, 41 tries, 49 conversions, seven penalties, and four dropped goals. The following year saw the disagreements between the Rugby Union and the northern clubs, chiefly over broken time payments to compensate players for earnings lost whilst paying rugby, come to a head. There was no meeting of minds, and the result was a schism in the game and the birth of Rugby League. Amongst others, the Halifax club went professional on 29th August 1895. Walter continued to live in Halifax when his playing days were over, and died there on 1st December 1958.